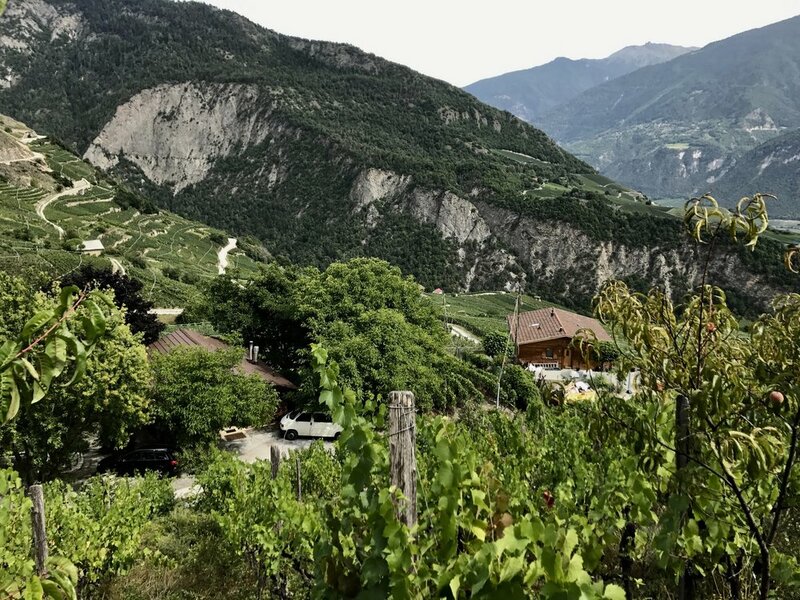 Domaine de Mythopia was started in 2004 when Hans Peter-Schmidt bought some vineyards in the Valais and began converting them to organic farming. When he first started working the soils, they were completely depleted - a product of years of intensive farming. Hans immediately set out to bring them back to life - using only natural remedies to nurse the land back to health and encourage biodiversity in his vineyards. He drastically reduced the number of vines, introduced beehives and planted bushes, apricot trees and herb gardens. In 2010 the land finally began to recover, and the steep Mythopia vineyards are now home to a uniquely diverse ecosystem. The vines are planted on diverse soils - largely consisting of Calcareous-schist. The steeper parcels are planted to Pinot Noir, which makes up 70% of production, with the lower parcels planted to local white varieties such as Fendant. These vineyards are planted at the highest possible altitude in the region - any higher and the temperatures would be too low and the gradient too steep for wine production. Hans says his wine is simply ‘grapes and air’ - with nothing being added or taken away. His wines are not fined or filtered, and zero sulphur is added.